Many umpires would agree that there are very few judgment calls in baseball that are tougher to make than a checked swing. 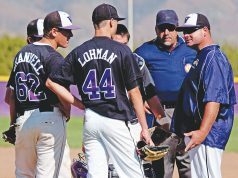 Whether you are the plate umpire having to instantaneously switch your concentration from the pitch’s location to the hitter’s commitment, or a field umpire in the middle of the diamond with absolutely no angle, few situations can be tougher to judge. The NCAA rulebook indicates that a checked swing shall be called a strike “if the barrel head of the bat crosses the front edge of home plate or the batter’s front hip.” That is pretty simple and straightforward language, however, not particularly easy to distinguish. The NFHS and pro rules don’t define a criterion for determining a checked swing. 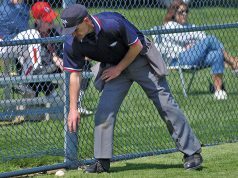 Umpires working under those sets of rules must simply determine if the batter committed to the swing or not. A strike by definition is “a pitch that is struck at by the batter and is missed.” It’s up to the umpire’s judgment as to whether the batter “struck at” the pitch. Breaking the wrists or the bat moving beyond the front of the plate or the batter’s body are considerations that the umpire may use to make the judgment. They are simply considerations, not definitions. 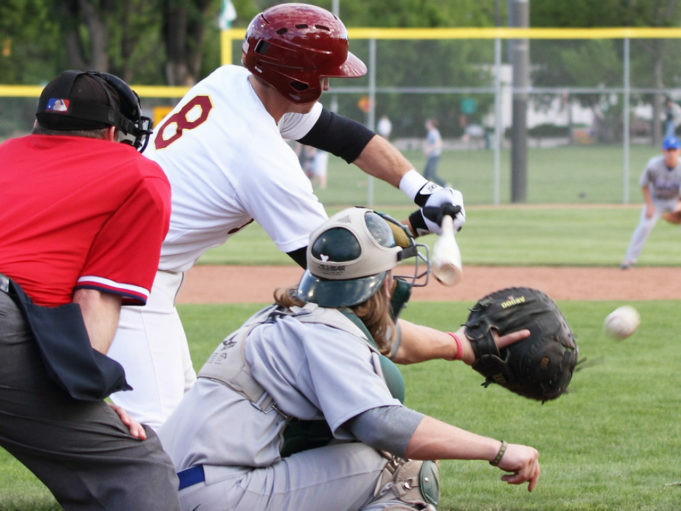 Most umpires will agree that determining whether the batter swung at a pitch when he checks his swing is primarily the responsibility of the plate umpire. Plate umpires should try to get as many of those as they can without help. However, that can be a very difficult task on pitches that are on the fringes of the strike zone. Those pitches require intense concentration on the pitch’s relationship to the strike zone. Consequently, letting your eyes stray to the batter when he checks his swing may not be possible. However, on pitches that you can tell are going to be out of the strike zone, it is wise to allow yourself the freedom to change your focus from the ball to the batter as he starts his swing.